Classic John DeSoto. John, on his CZ, out jumping Jammin’ Jimmy Weinert’s works Kawasaki. Back in the 1970’s Kawasaki had a dress code for every Kawasaki rider that included where every Kawasaki logo would be, including a big green “K” on top of your helmet. 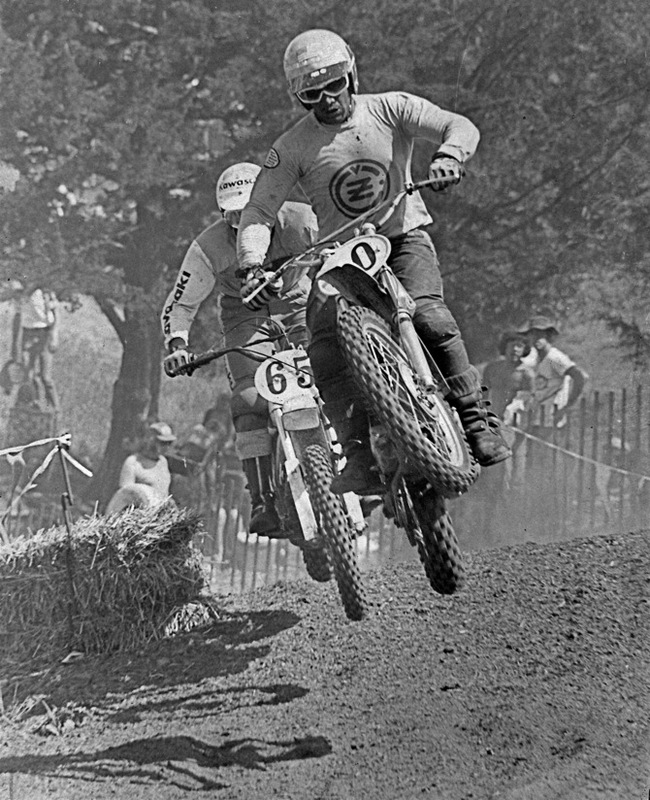 Motocross history in one snapshot? The Flyin’ Hawaiian John DeSoto (left), Jammin’ Jimmy Weinert (middle) and Bad Brad Lackey (right) have a chat at the rider’s meeting. That is Jim Pomeroy with the mutton chops in the background. Pomeroy’s nickname was Bimbo. 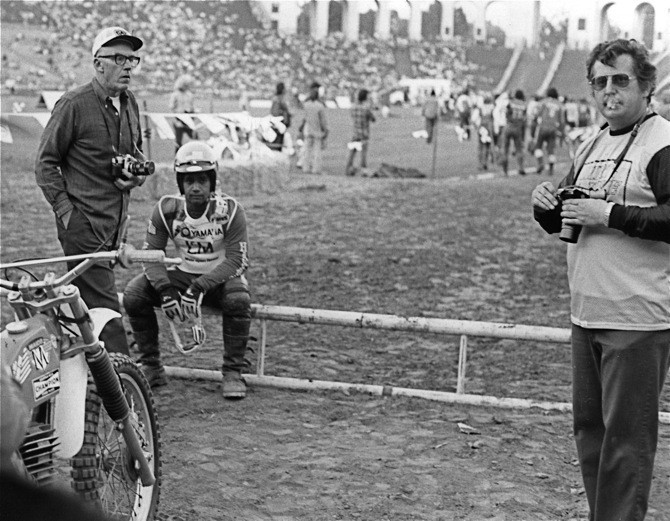 John sitting on the forward falling starting gate at the Superbowl of Motocross. That is Dirt Bike’s Rick “Super Hunky” Sieman smoking the cigar on the right. Imagine that you got a factory Suzuki ride and they gave you a TM400 Cyclone to race. What a deal.